Every time I think of this print I think of London, Oxford Street, Shopping, fond fond memories. Featured in my Style Diary entries, I collected this print. 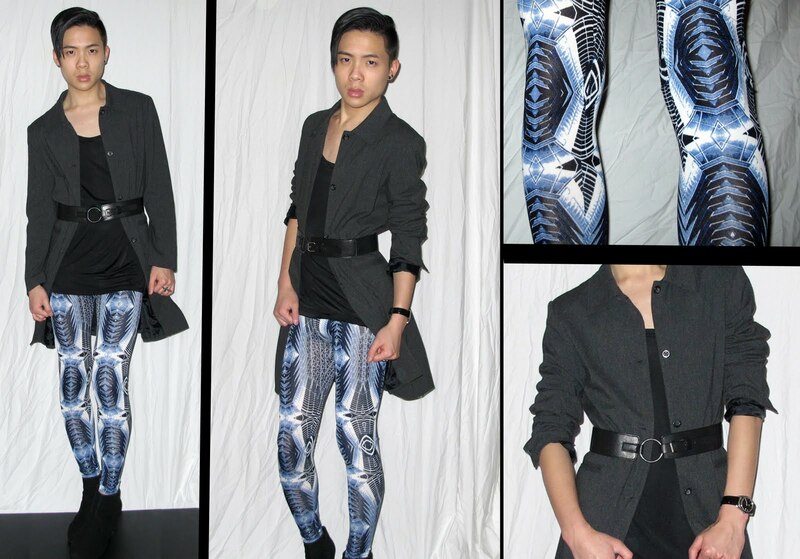 I've got a cropped blazer, pant and these blue leggings. They are tres intense, and I love love love them. Being Winter its gotten a lot more colder, and that means time for jackets, overcoats and layering. I never really enjoyed Winter, the rain and the cold but style wise it's great! I got this GAP overcoat on a successful vintage shopping trip. Its grey, long and fitted. For this Style Diary look I also added this black belt just to break the length and add some waist. This is my look for winter. Simple pieces with one savage statement! I finished the look with a shiny oversized t-shirt, MARTAN Double Cross ring and a pair of black wedge boots.